Read the latest news about Atrium. 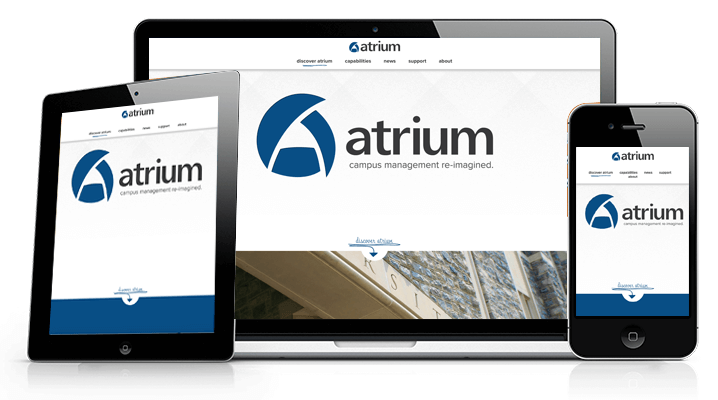 V4 Development was responsible for developing the Atrium software from the start as a cloud based solution. 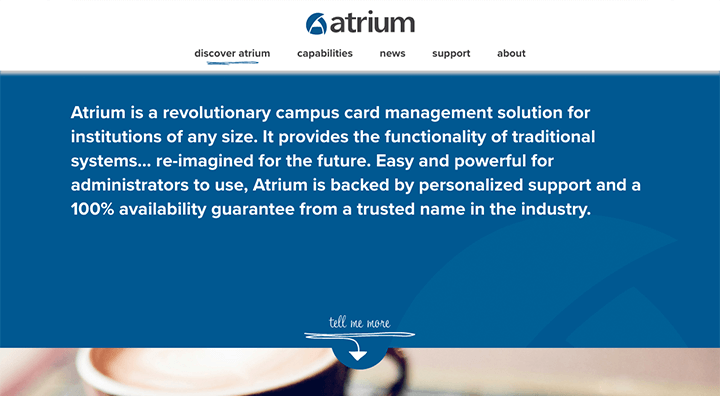 Atrium is a revolutionary campus card management solution for institutions of any size. It provides the functionality of traditional systems… re-imagined for the future. 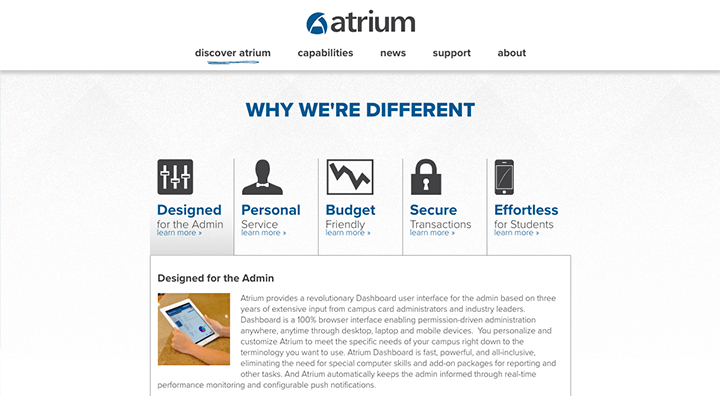 Easy and powerful for administrators to use, Atrium is backed by personalized support and a 100% availability guarantee from a trusted name in the industry. 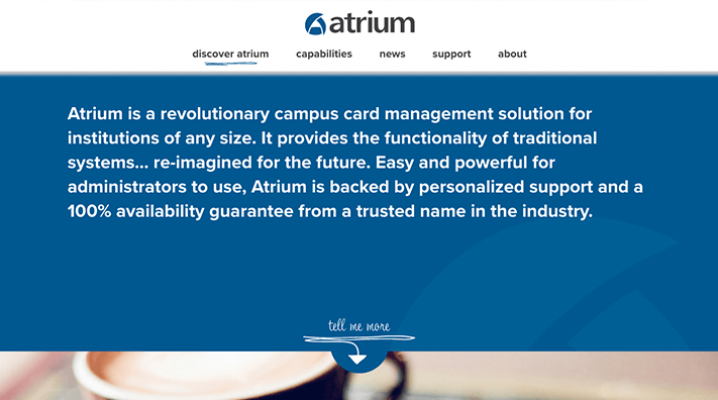 Building a better campus card management system. For decades, a few companies have maintained a monopoly on college campus ID card systems. Universities sign a contract that requires them to pay these companies not only for the system, but for marked-up hardware and maintenance. The card providers then sit back and collect checks. 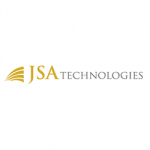 JSA Technologies, a firm that provides secure transaction capabilities to the card system companies, knew colleges and students deserved a better, more cost-effective system. It took V4 just nine months to develop the new system, called Atrium. It's built to meet the high usability standards set by Google and Apple, combined with secure cloud technology and hardware from third-party providers. The cost of the system includes customer service and technical help — no upselling here. Atrium is a cloud based campus card system. At the time JSA Technologies approached V4 Development with their vision of a cloud based solution which did not exist. We saw a significant opportunity to revitalize and re-envision an archaic and stagnant industry. Until now, campus card systems were often run on single on-site servers that were hard to update and upgrade. If a failure (IE network, hardware, power, etc.) occurred, the entire system was down and students / faculty / professors were unable to make purchases, dine, enter buildings. This also affected core access of other vital campus resources. V4 Development architected the Atrium solution from the ground up with all these factors in mind. By building the underlying software using open source technologies on a private, geographically redundant cloud, we were able to provide a solution of maximum processing power and availability. The entire system was protected by a state of the art network and security and intrusion detection system. By designing and deploying our software for a geographically redundant cloud, we are able to easily scale and provide 99.999% availability as the school or university continue to grow and process the increased transactional load. Atrium is now being used by more than 1.4 million college students. 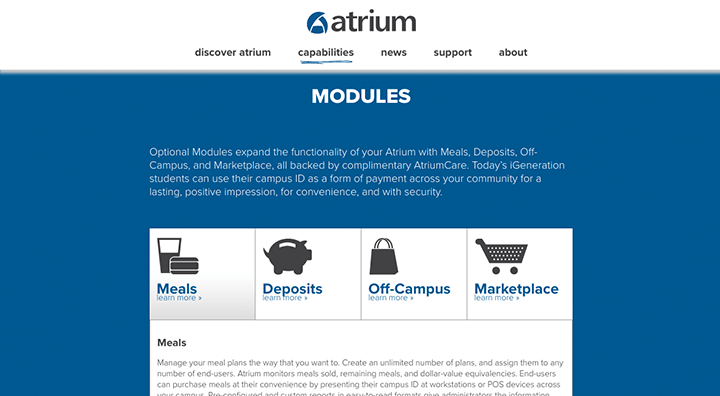 An audit recently completed by George Mason University shows the institution is saving more than $1 million over the first five years by using the cloud-based Atrium Campus Card System, while also improving cardholder service and streamlining administration.